This week, the number of active BTC addresses decreased from 3.33 to 3.28 million, falling for five consecutive weeks. There were 7 extra-large transactions on BTC; the number of BTC transactions worth between 1,000-10,000 BTC decreased from 654 to 533. The total volume of BTC transactions worth between 10-100 accounted for 32.8% of the overall transaction volume. Among the top 30 Bitcoin addresses, 3 addresses had significant changes in their balance, including 2 net BTC inflows and 1 net BTC outflow. The number of active address on ETH increased by 1.4% from 1.32 to 1.34 million. 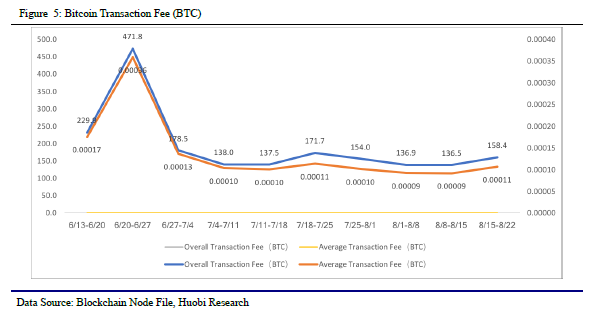 The average transaction fee decreased 44.9% to 0.0043 ETH this week. Concentration of wealth on ETH network increased for four consecutive weeks. 78,316ETH inflow on ETH network was from Binance. The number of transactions on EOS decreased 23.61% to 4.06 million. The RAM utilization rate is 67.27%, and the addresses that voted for Blockproducers accounted for 37.37% of all addresses. 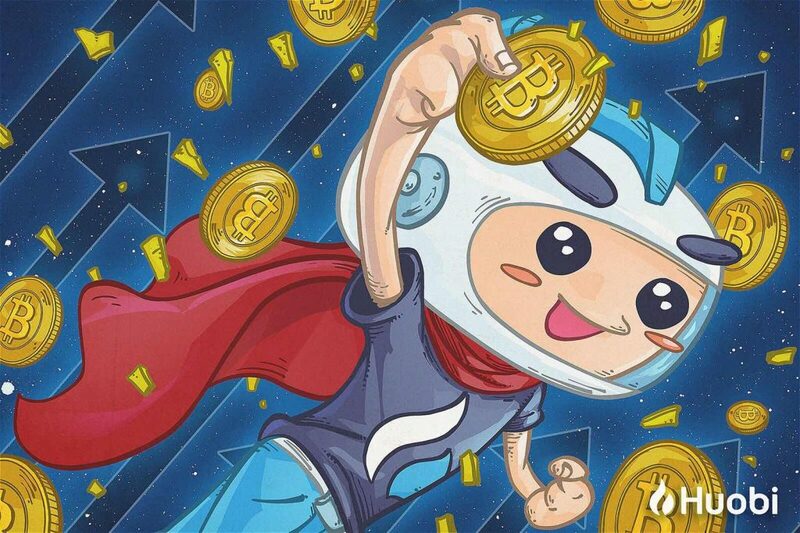 BTC, ETH, and EOS continued to be the top trending Cryptocurrencies in China, while BTC, USDT, and ETH were top trending cryptocurrencies overseas. In the Events category, “Bear Market”, “Risk” and “Contract” were the hottest words in China, while “ETF”, “Bot” and “Wallet” were the hottest words overseas; in the Exchange and KOL category, “Huobi”, “OKEX” and “Fcoin” were the hottest in China, while “Coinbase”, “Binance” and “Vitalik” were the hottest overseas. ETH, BTC and EOS were the top Cryptocurrencies projects that received the most stars and watchers in a week; BTC, ETH and EOS were the projects that received the most forks in a week; ADA, TRX and ETH were the projects with the most commits this week. Search interest for cryptocurrency- and blockchain-related words general decreased on Baidu and Google. The price of top 10 Cryptocurrencies experienced a bounce, with Ripple receiving the largest increase of 26.7% and Stellar receiving the smallest increase of 2.3% in their respective prices. In terms of price volatility, BTC had the lowest volatility rate of 0.0028 s.d. while Stellar had the largest volatility rate of 0.0101 s.d. With the exception of ETC, top 10 Cryptocurrencies had high correlations in their price movements this week.